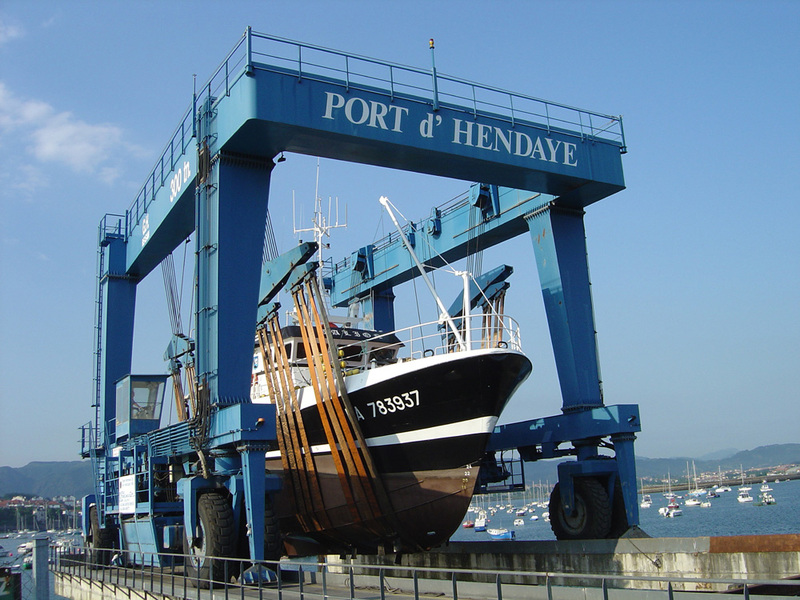 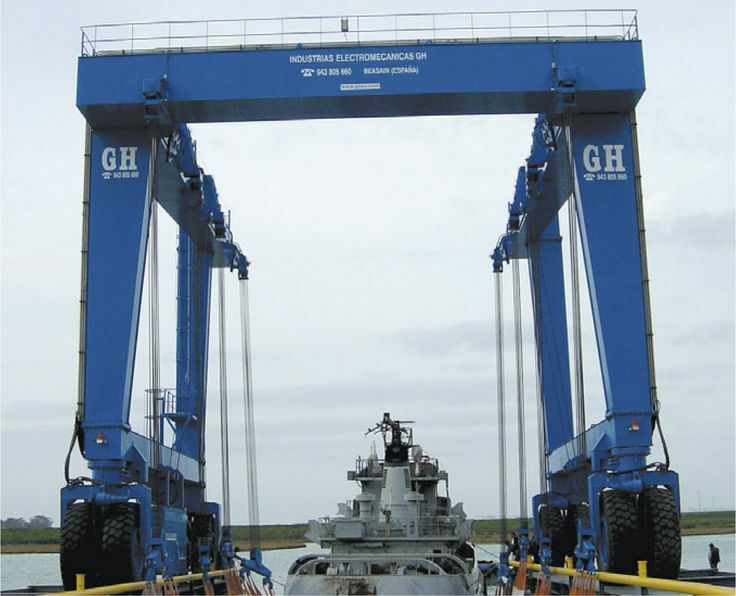 Marine automotive gantry crane with a lifting capacity of 300t installed in the port of Hendaia. 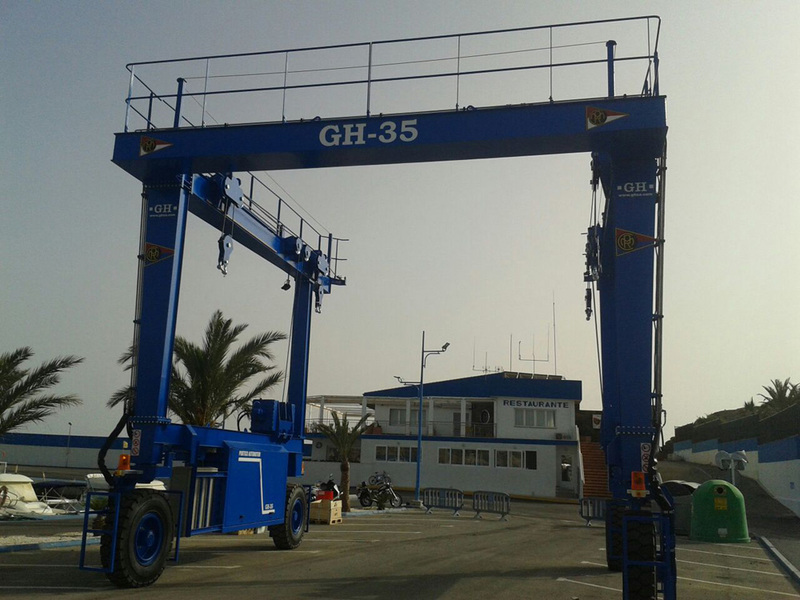 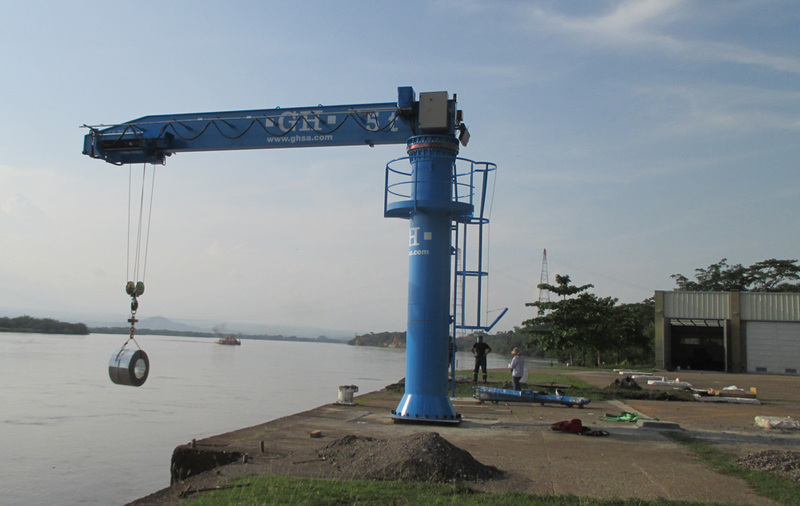 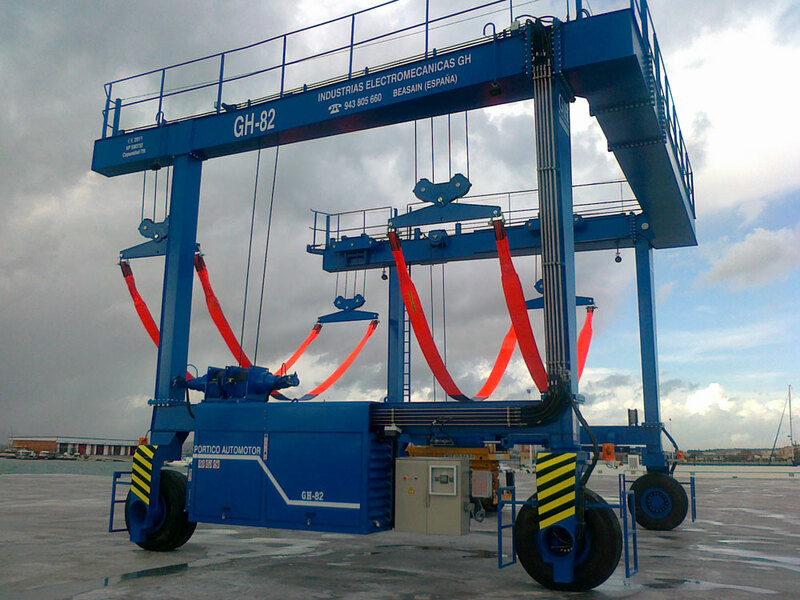 Model GH275 marine automotive gantry crane with a capacity of 250t for Varadero Vinaros SL. 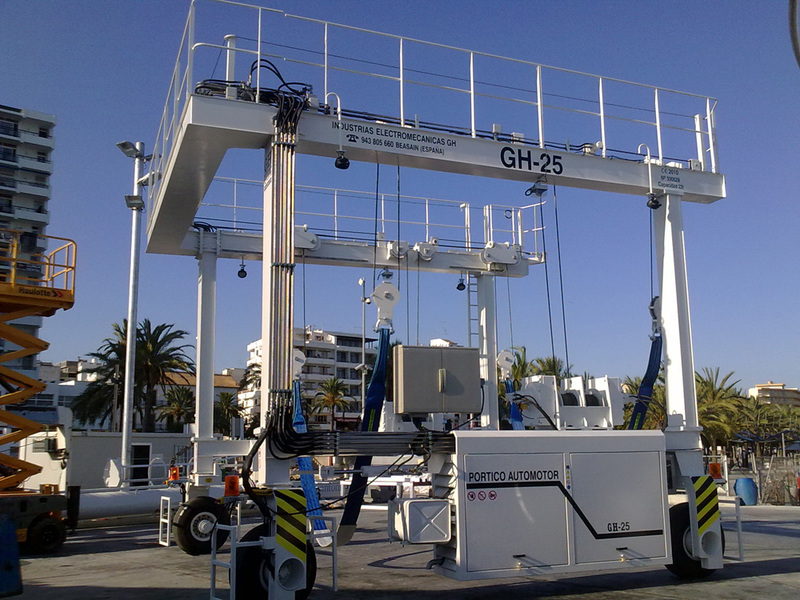 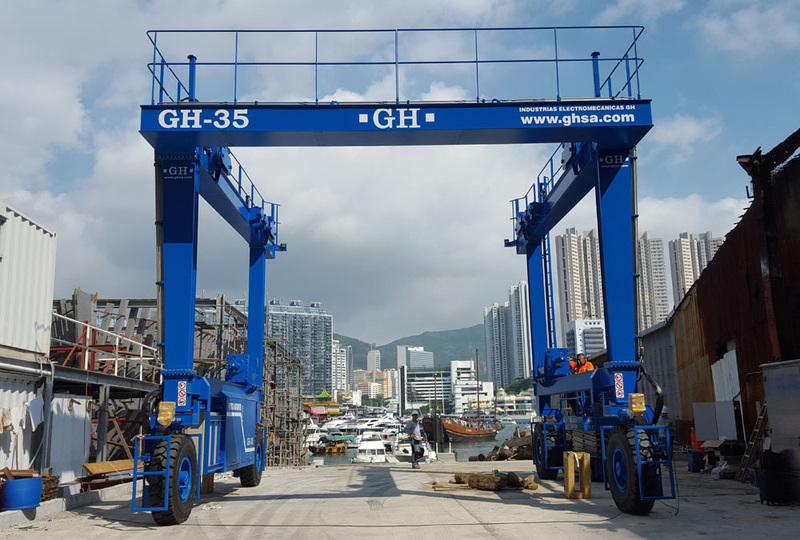 GH CRANES & COMPONENTS model GH-25 marine automotive gantry crane with a lifting capacity of 22t in the port of San Antonio, Ibiza. 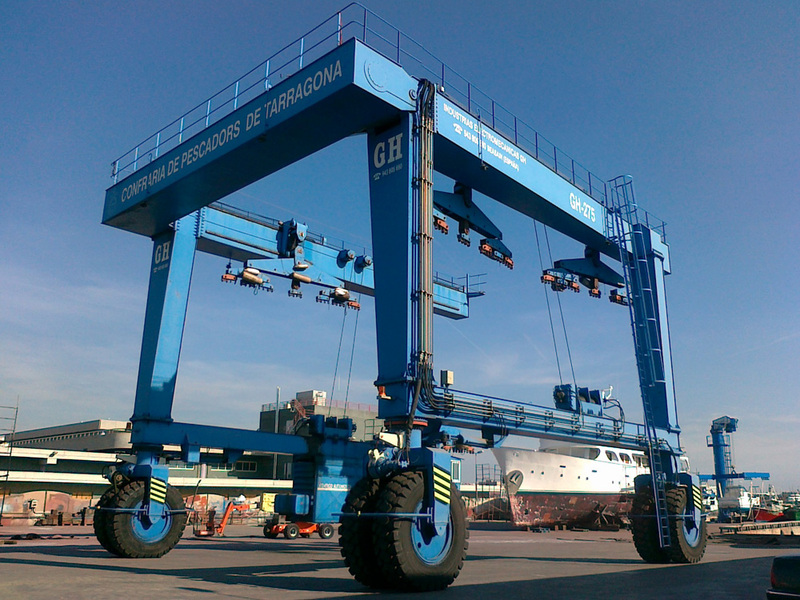 Automotive goliath crane Marinas Verolme. 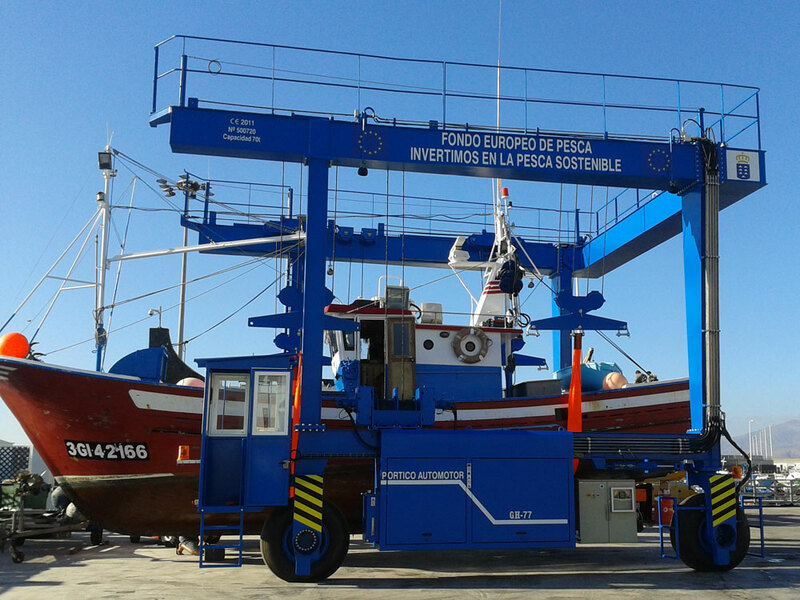 Pórtico automotor para el manejo de embarcaciones en tareas de mantenimiento y reparación. 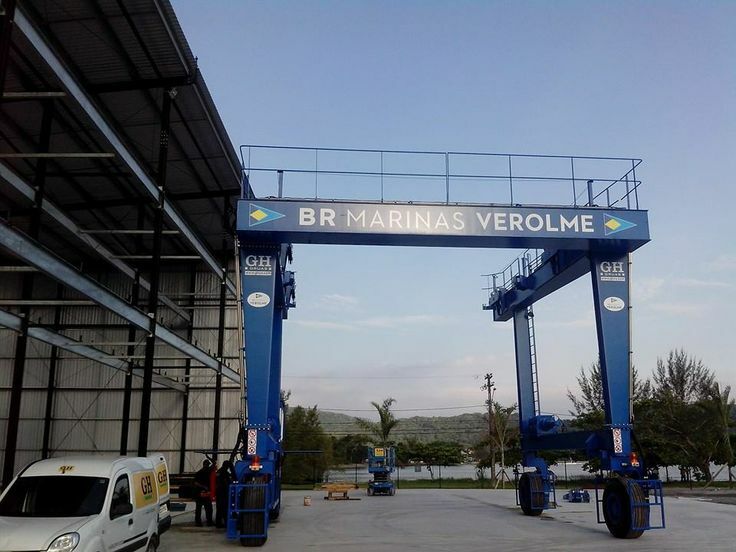 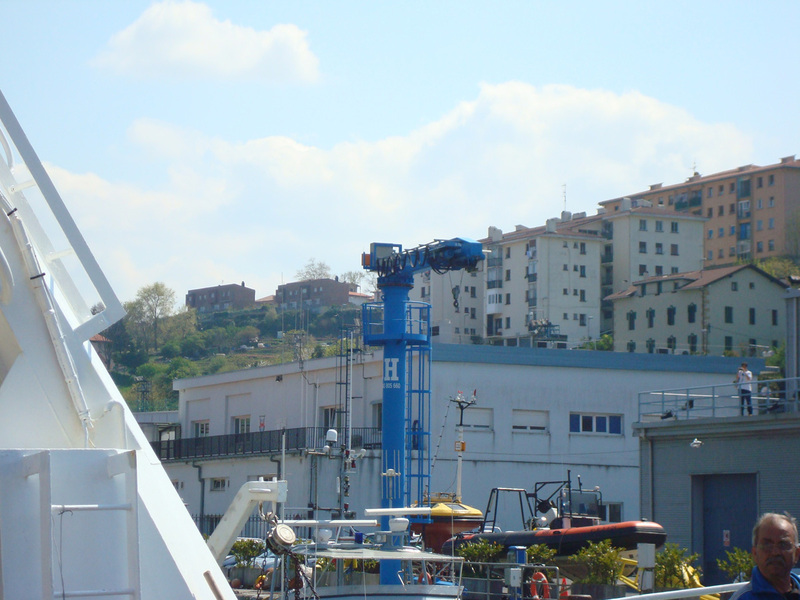 Maritime self-propelled gantry for Marina Verolme with 110t capacity. 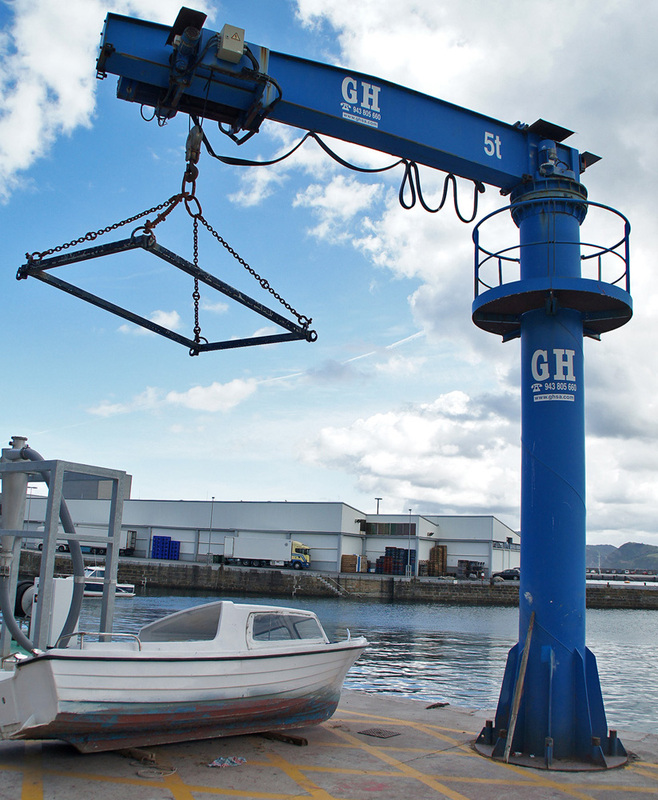 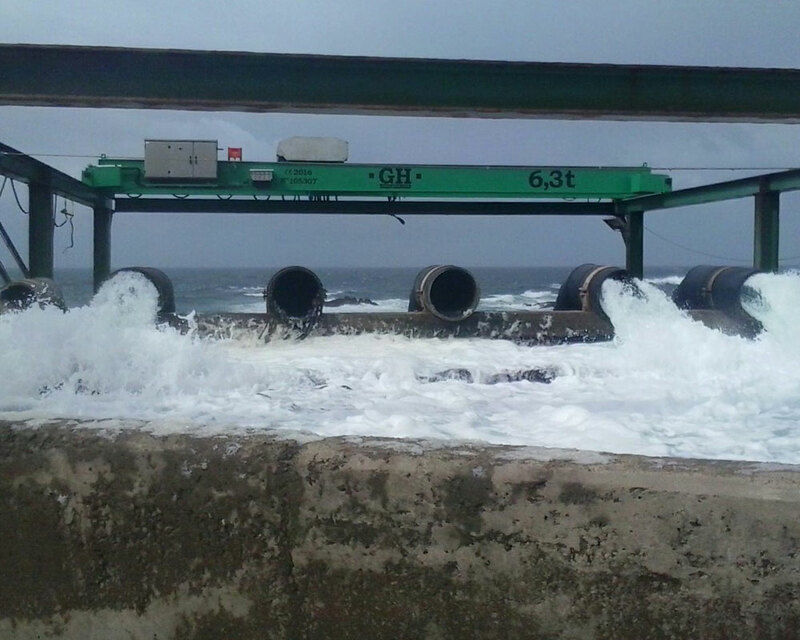 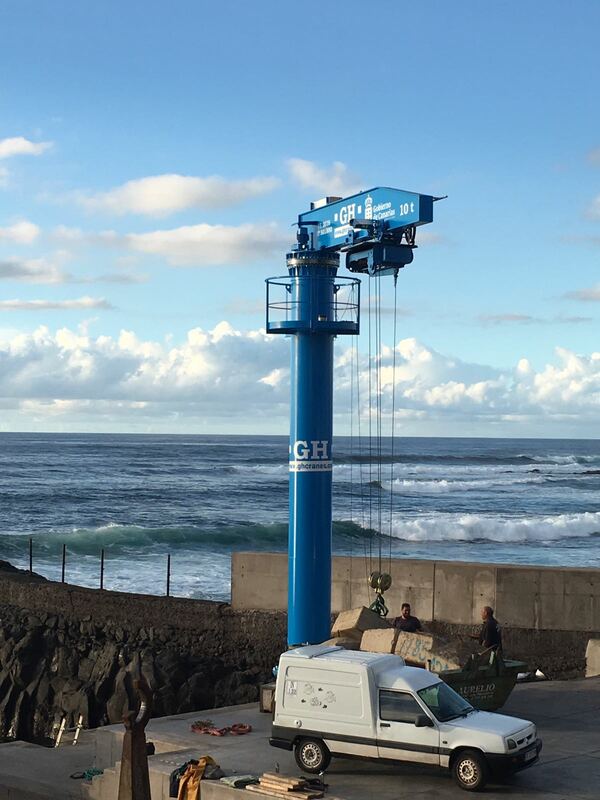 The General Directorate of Ports has fitted the jib crane with a lifting capacity of 10t and with a boom of 5.5 metres, a column of 7 m and a travel of 11 m in the fishing dock of El Roquete, in the province of La Punta del Hidalgo, in response to one of the most urgent requirements of the fishermen, who from now on, if all the tests go well, will be able to use the apparatus to carry their boats to the sea or onto the esplanade. 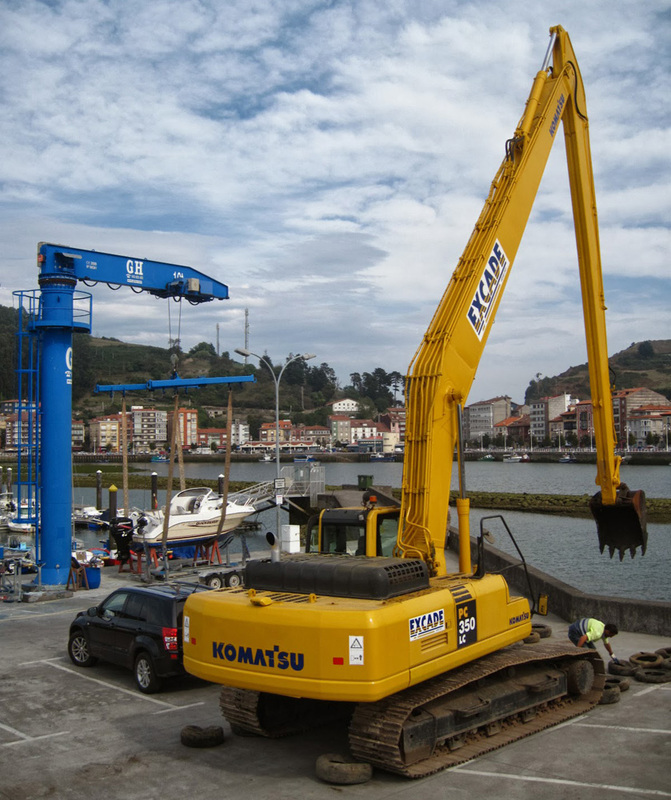 Place of installation: Candas (Asturias). 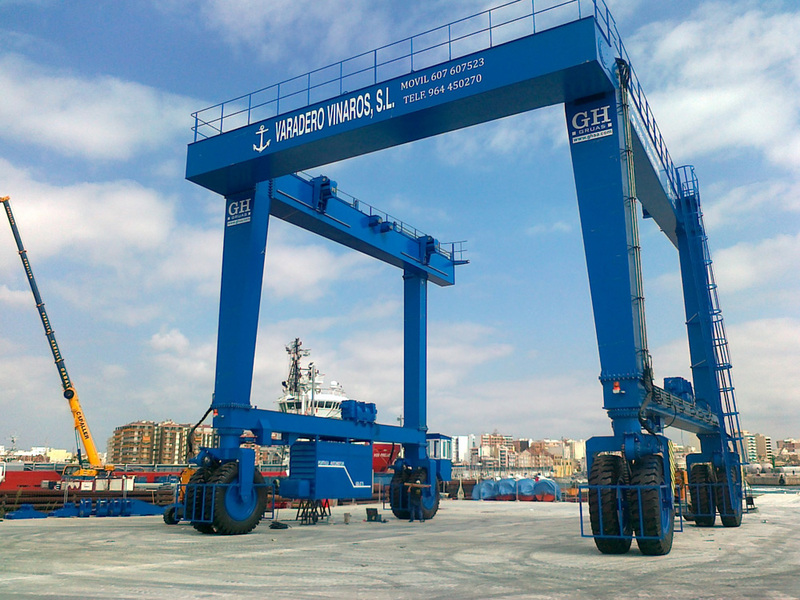 Capacity: 8t. 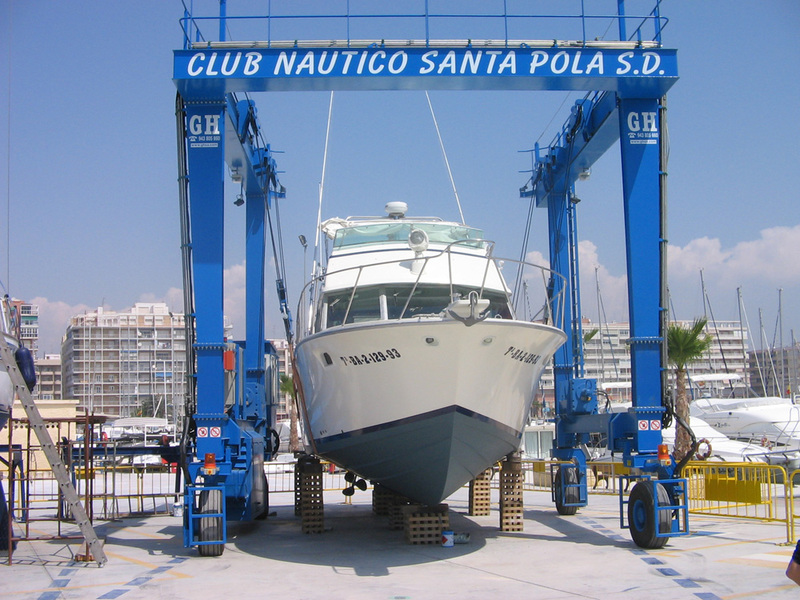 Customer: Club Deportivo del Mediterráneo. 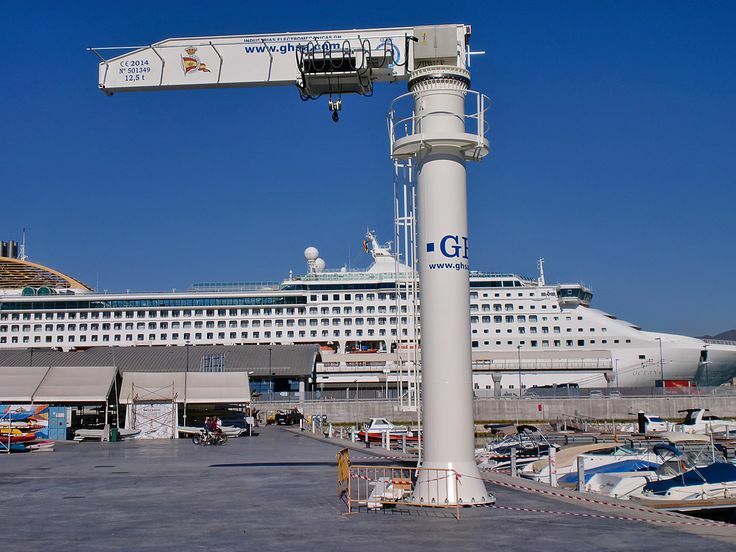 Place of installation: Málaga. 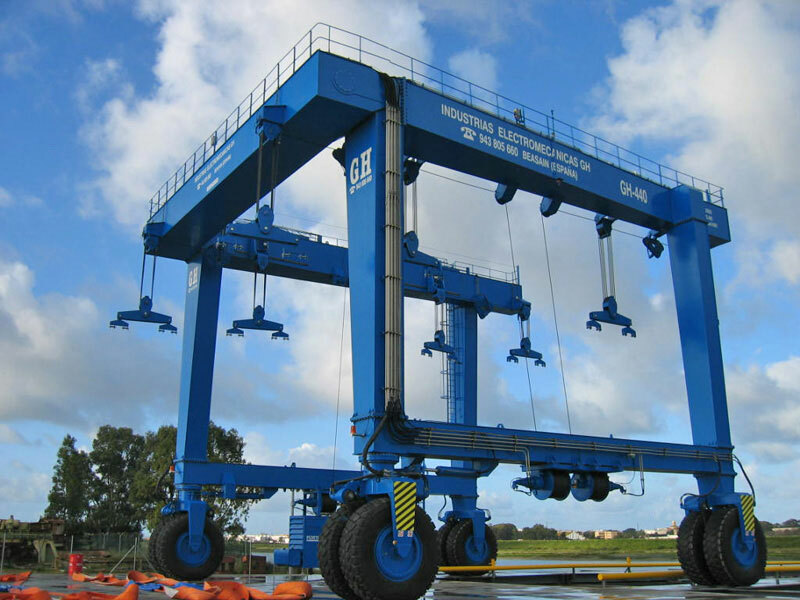 Capacity: 12.5t. 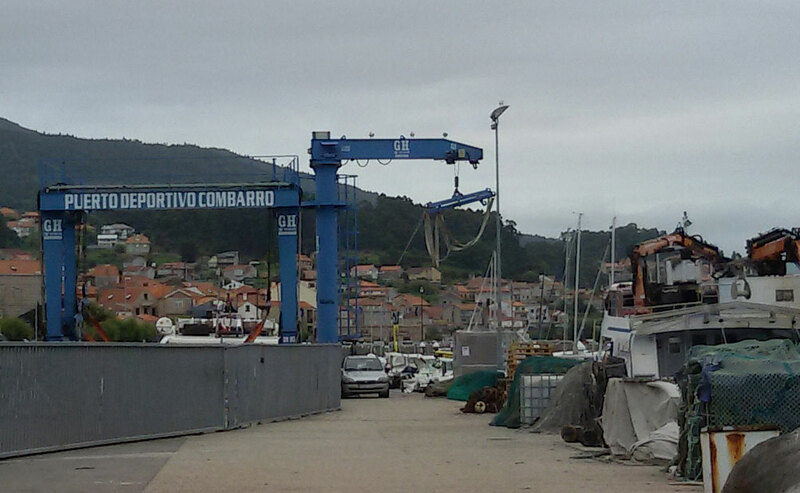 Jib Crane. 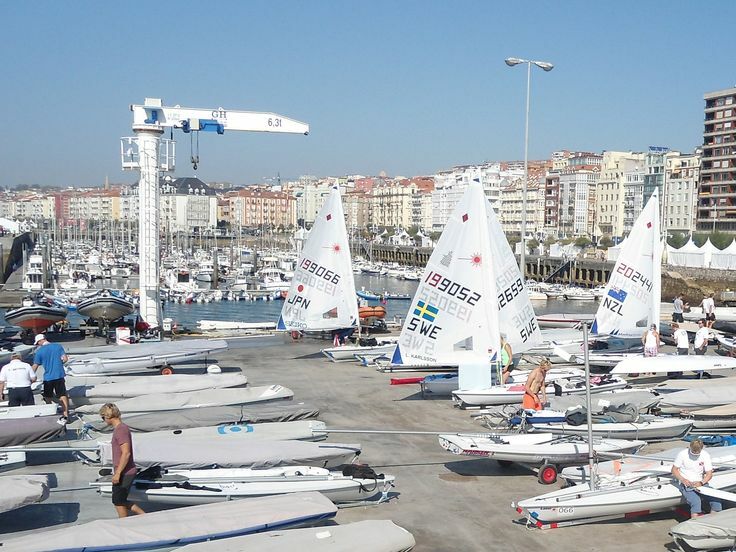 ISAF sailing world championship santander 2014.